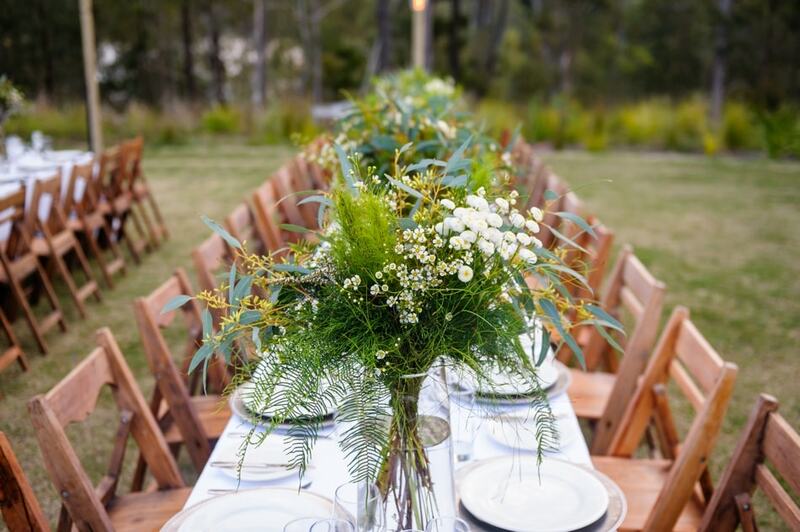 Set 12km from Brisbane’s CBD in the enchanting rainforest of D’Aguilar National Park, Walkabout Creek is an idyllic space for a range of rustic and back-to-nature events. 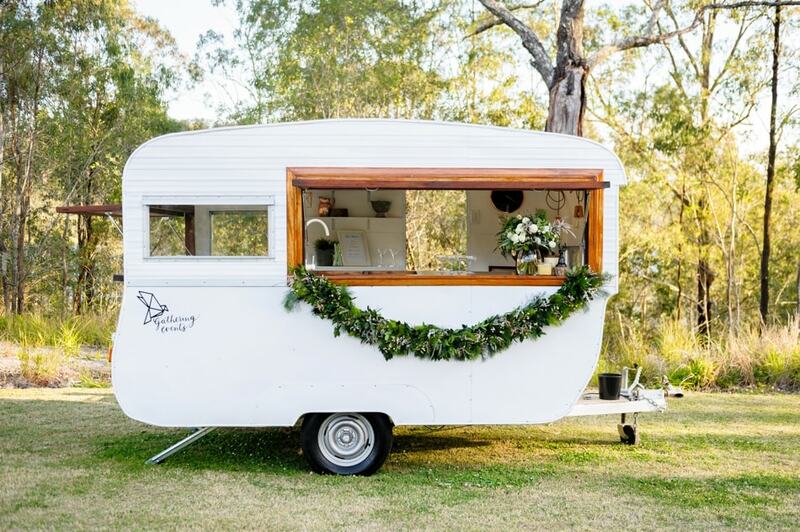 Walkabout Creek’s outdoor space, the Lakeside Lawn, sits on the banks of the Enoggera Reservoir and embraces an array of local greenery, wildlife, and stunning waterfront views. 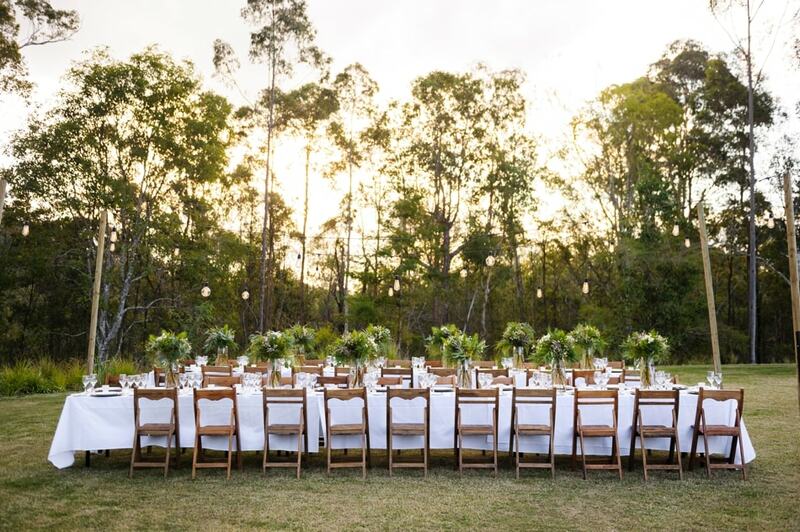 The multipurpose space can host open-air events for up to 400 guests and is available for a range of corporate functions, weddings and private celebrations. 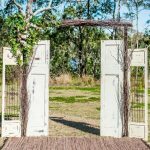 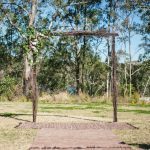 With the help of some of Brisbane’s most talented wedding vendors, we put together a stunning example of just how this space can be used to host beautiful outdoor ceremonies and receptions, all photography has been captured beautifully by Millyjane Photography. 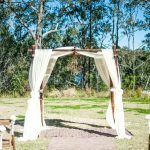 A vibrant outdoor space surrounded by the striking natural backdrop of lush greenery, the Lakeside Lawn offers a beautiful setting weddings. 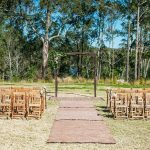 The Walkabout Creek team can transform the venue to suit a glamorous, rustic or traditional wedding theme, with the potential for marquee settings, tipi receptions or group dinners under the stars. 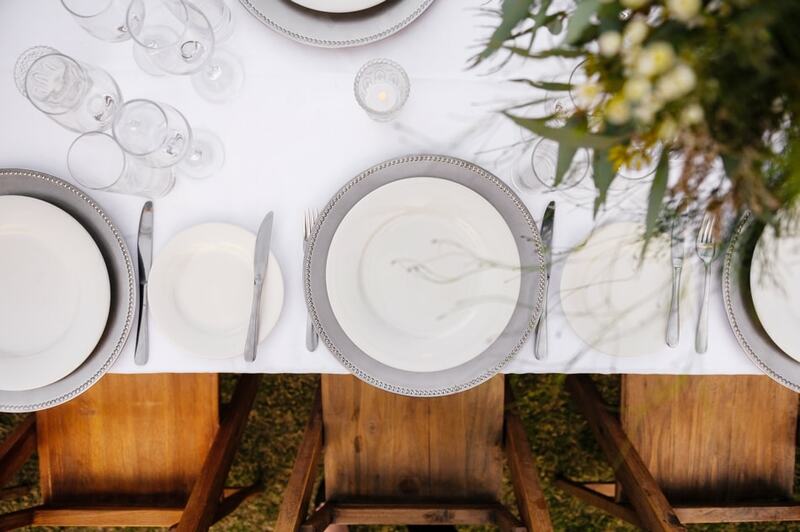 From three course seated affairs to stand up cocktail parties and intimate brunches, the space can cater for a variety of functions, each as captivating as the next. 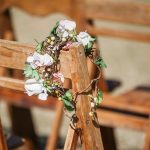 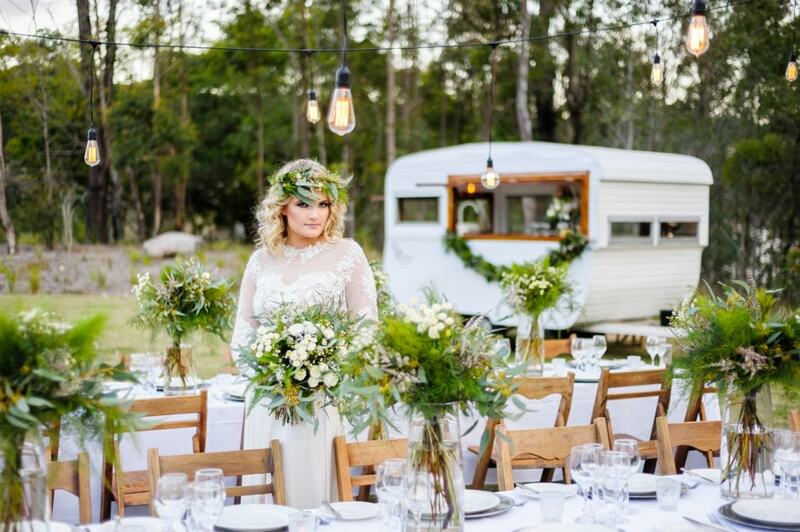 For our styled shoot, two rustic ceremony settings were supplied by Beautiful Weddings. 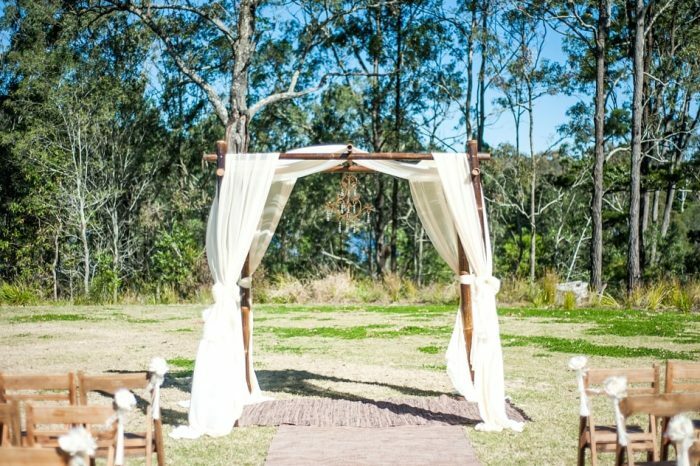 The ceremony settings included natural woven mats for the aisle and wooden folding chairs that blended perfectly with the natural surrounds, ceremony one had a simple bamboo centerpiece with linen draping, while ceremony two combined tree branches with antique doors to create a stunning rustic backdrop. 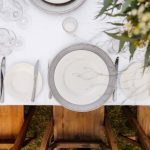 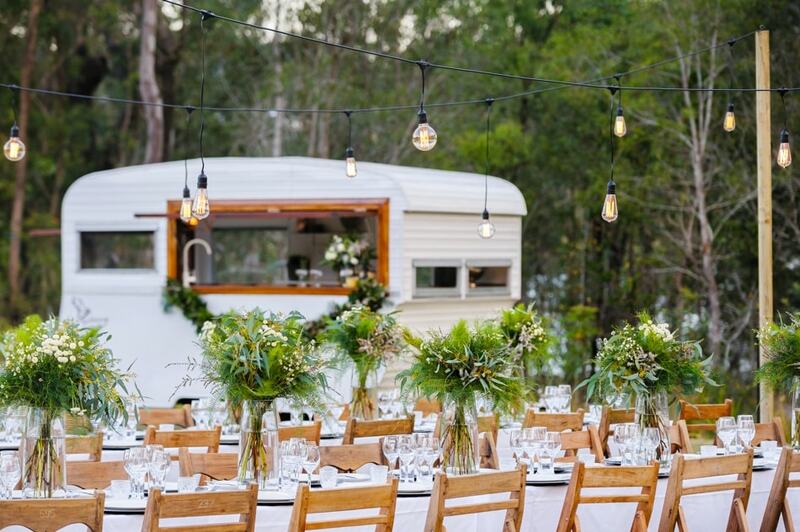 With summer well and truly on the way, we chose to recreate a gorgeous reception dinner under the stars, a contemporary theme that is perfect for Brisbane’s balmy evenings in the warmer months. 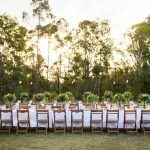 Using chairs and charger plates from Beautiful Weddings, the look was put together by the Walkabout Creek team, resulting in a stunning, on trend reception setting. 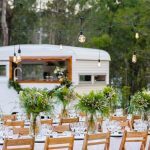 AVIDEAS Lighting provided the outdoor lights, with vintage Edison bulbs delicately hanging over the table settings for an industrial touch to the setting. 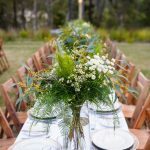 Blooming centerpieces from Northside Flower Market incorporated spray roses, matricaria, blushing brides, thryptomene, wax flower, eucalyptus seeded jarrah, koala fern, smoke bush, sea star fern, umbrella fern, emu feather and mock orange, creating natural looking green, white and yellow bouquets. 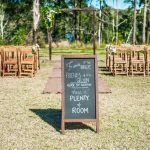 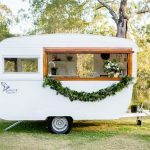 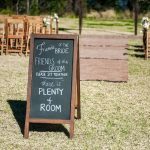 This greenery was also used to adorn the caravan bar supplied by Gathering Events, a stylish vintage caravan bar which is available for weddings and events in the Brisbane region. 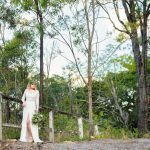 Our blushing bride was dressed by the talented designers at When Freddie Met Lilly, who provided their lovely Charlette Bodice for the showcase. 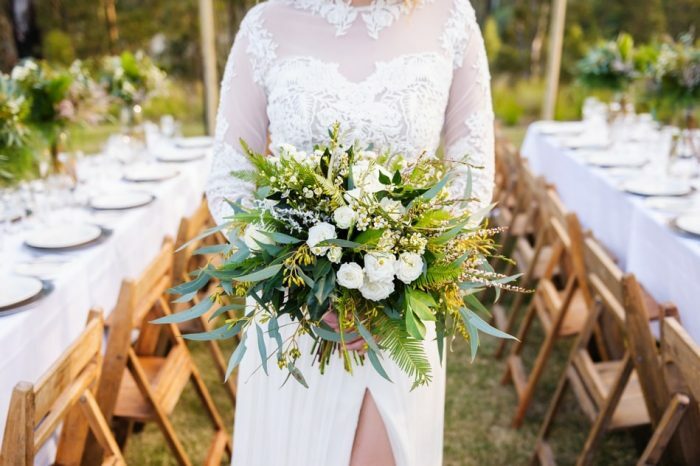 A beguiling French lace bodice with long sleeves, the bodice is adorned with pearls and crystals, and paired with the Grecian goddess Waterlilly Skirt. 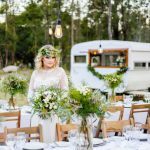 Hair and make up styling was provided by Shannon Hope, who created a natural look to suit the outdoor environment and afternoon sunlight. 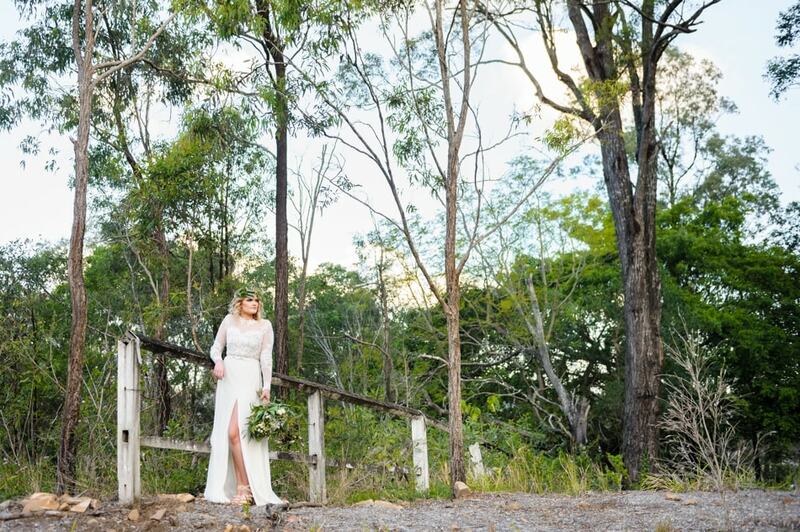 Casual elegance personified, natural colours were used to create a soft glow, with defined eyes, dusky pink lips and a hint of blush. 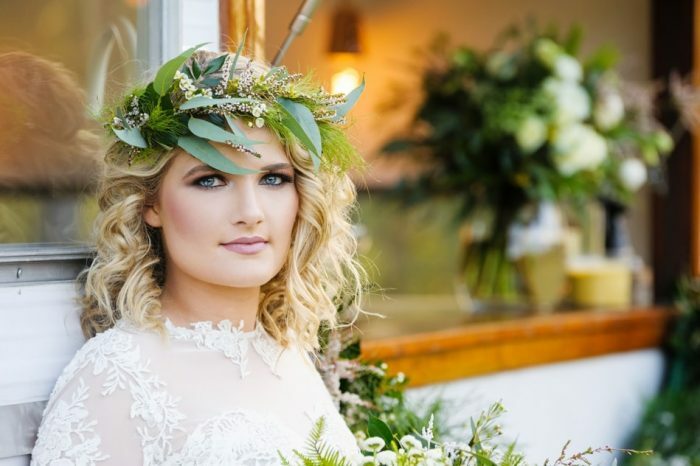 Loose cascading curls were accentuated with a flower crown from the Northside Flower Market. With a range of stunning spaces and beautiful settings, Walkabout Creek is Brisbane’s best kept secret for picture perfect weddings. 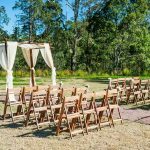 Find out how we can create the special day you’ve always wanted and get in touch with us now.